What a season it's been! I've had a brilliant time racing in the All Terrain Rally Challenge in 2014, from the Brechfa rally in March to the Cambrian rally just gone. I'm very pleased with what I've achieved on what was a new bike to me at the start of the year. In fact, the Brechfa was the first time I rode the 300 EXC "in anger"! I fought hard and I felt like I rode well and consistently over the 5 Welsh rounds I completed. We had some fantastic competition going in the Rally Lite 2T >249cc class, having to go to the Cambrian with everything hanging in the balance in the ATRC series was a real buzz for all of us! Unfortunately, I wasn't quite able to clinch the win in the class over the series, I did get maximum points at the Cambrian but it wasn't quite enough! Happily however, it did mean that I managed to climb to 2nd. What an incredibly close finish it was, not only in the event itself, where there were mere seconds separating us at the end of two days of competition and 8 special tests, but in the series overall. Out of the top 3 in our class, the eventual winner (98 points) had completed 7 rounds and therefore had the benefit of dropping their lowest score. The format of the series is that your best 6 rounds out of a maximum of 8 count towards your final score, so I was at a disadvantage having only completed 5 (96 points), but that makes the 2nd place even sweeter! 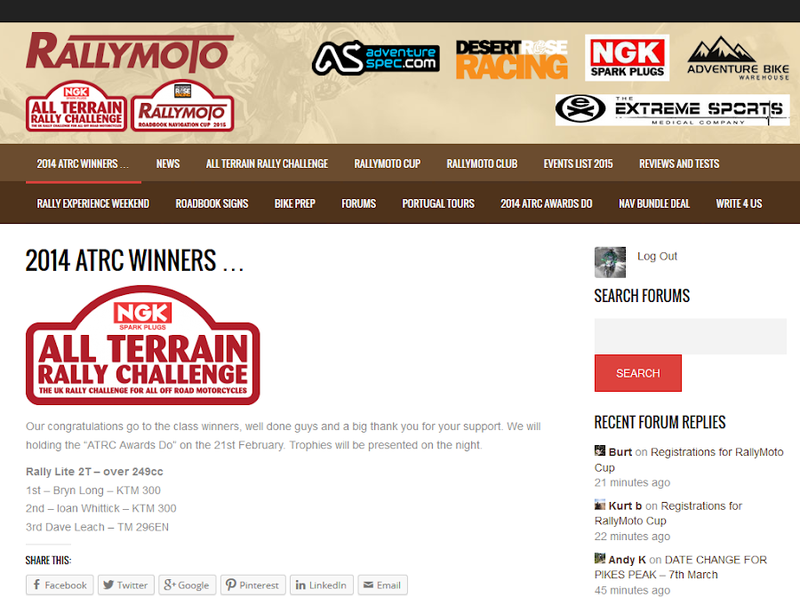 Congratulations to my fellow competitors, it's been a lot of fun racing with you this year and I am already looking forward to the ATRC in 2015. 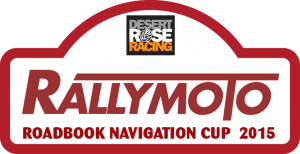 The "winners" for 2014 have been published on the All Terrain Rally Challenge website and the full standings for all classes can be viewed here.